After wrapping up this year’s G7 Summit in Italy, Prime Minister Justin Trudeau met with Pope Francis at the Vatican on Monday. 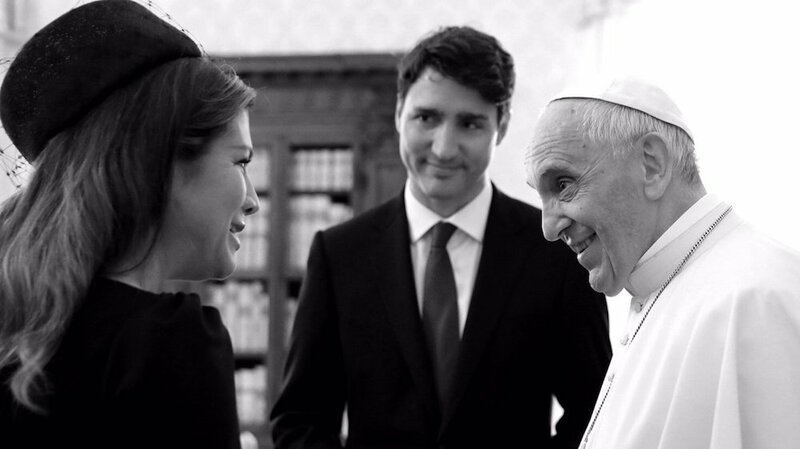 According to a statement from the Vatican, Pope Francis met with both the Prime Minister and his wife, Sophie Gregoire-Trudeau. “In the cordial discussions the good bilateral relations between the Holy See and Canada were evoked, along with the contribution of the Catholic Church to the social life of the country,” stated the Vatican. The statement said that the parties then focused on the themes of integration and reconciliation, as well as religious freedom and current ethical issues. “Finally, in the light of the results of the recent G7 summit, attention turned to various matters of an international nature, with special attention to the Middle East and areas of conflict,” concluded the Vatican release. While at the Vatican, Trudeau also met with His Eminence Cardinal Secretary of State Pietro Parolin, accompanied by His Excellency Msgr. Paul Richard Gallagher, Secretary for Relations with States. The Prime Minister will be meeting with Italian Prime Minister Paolo Gentiloni on Tuesday, before leaving Italy on Wednesday.